This Radiation Safety Checklist is designed to help managers and supervisor to develop safety plans and organize employee training in offices. The Checklist includes tips and suggestions on how to get prepared for a radiation incident and how to act properly during radiation exposure. Organize Training. It’s important to conduct training sessions to teach your employees to act properly in case of a radiation emergency. To conduct radiation safety training you’ll need to allocate an appropriate training facility (like computer-based classrooms) that is equipped with necessary training media, such as handouts, slides and video presentations. You’ll also need to hire a professional radiation safety officer who will train your workers and provide important information on radiation safety standards and requirements. You can contact your local government and request a quote for employee training and radiation safety services. The government should provide necessary documents and professional instructors. Measure Training Effectiveness. Evaluating effectiveness of radiation safety programs and training is a quality assurance measure used to determine whether qualified employees have obtained required knowledge and understood safety guidelines. You can use questionnaires and forms to engage your workers in providing feedback. 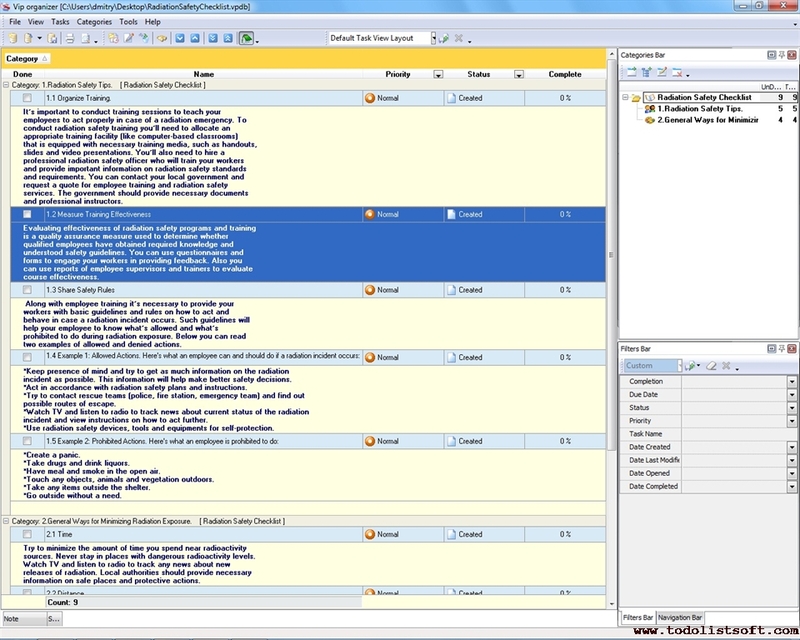 Also you can use reports of employee supervisors and trainers to evaluate course effectiveness. Share Safety Rules. Along with employee training it’s necessary to provide your workers with basic guidelines and rules on how to act and behave in case a radiation incident occurs. Such guidelines will help your employee to know what’s allowed and what’s prohibited to do during radiation exposure. Below you can read two examples of allowed and denied actions. Keep presence of mind and try to get as much information on the radiation incident as possible. This information will help make better safety decisions. Act in accordance with radiation safety plans and instructions. Try to contact rescue teams (police, fire station, emergency team) and find out possible routes of escape. Watch TV and listen to radio to track news about current status of the radiation incident and view instructions on how to act further. Use radiation safety devices, tools and equipments for self-protection. Take drugs and drink liquors. Have meal and smoke in the open air. Touch any objects, animals and vegetation outdoors. Take any items outside the shelter. Go outside without a need. 2. General Ways for Minimizing Radiation Exposure.